I have written a little about the clay soil that is prevalent here in Arch City. If you are going to garden, you are going to encounter this very dense, hard to break-through soil that seems as hard as concrete during a hot, dry spell (translation: summer in St. Louis). How do you identify clay soil? Easy. If it sticks to your shoes, attaches itself in clods to your shovel and you have to throw a clump of it across the yard to break it up, you’ve got clay. Clearly, this has not deterred the hardy souls in the area who have the vision and fortitude to overcome this stuff. My strolls in my neighborhood and beyond are testimony to that. And so is my soil. In my fourth year of amending, amending, amending, I am starting to see the difference. More accurately put, I am starting to feel the difference. Arch City-ites know what I am talking about. When I place the shovel or spade into the ground, the resistance isn’t quite as fierce. In fact, when I was digging into the patio bed to put in “Crazy Blue,” a new, compact Russian sage (perovskia atriplicifolia) my favorite nursery is featuring, the soil actually gave way with minimal effort. I consider this a major break-through. 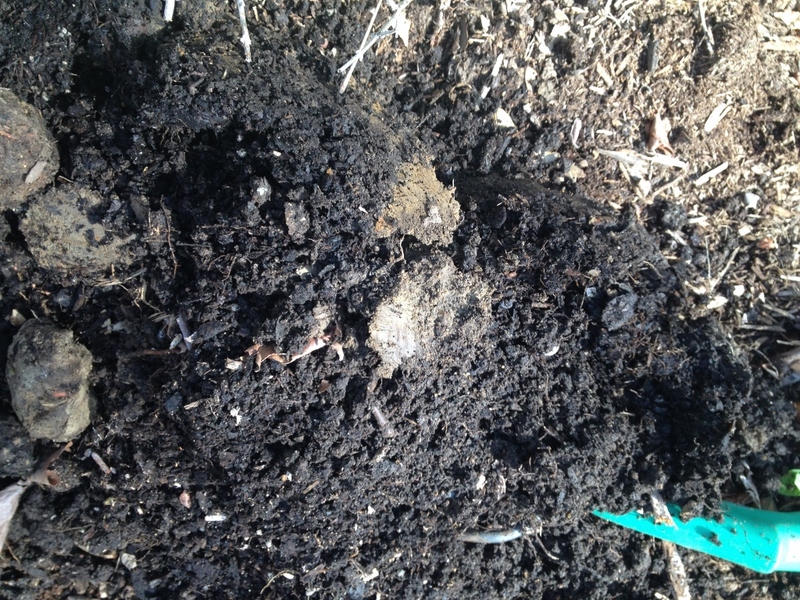 After three years of adding lots of compost to my clay soil, the structure is finally improving. Digging into the soil is no longer at backbreaking, shovel bending experience–at least in this part of the garden. Can you spot the clay soil in this sample? Hint: It’s the stuff that looks like meatballs. 1. 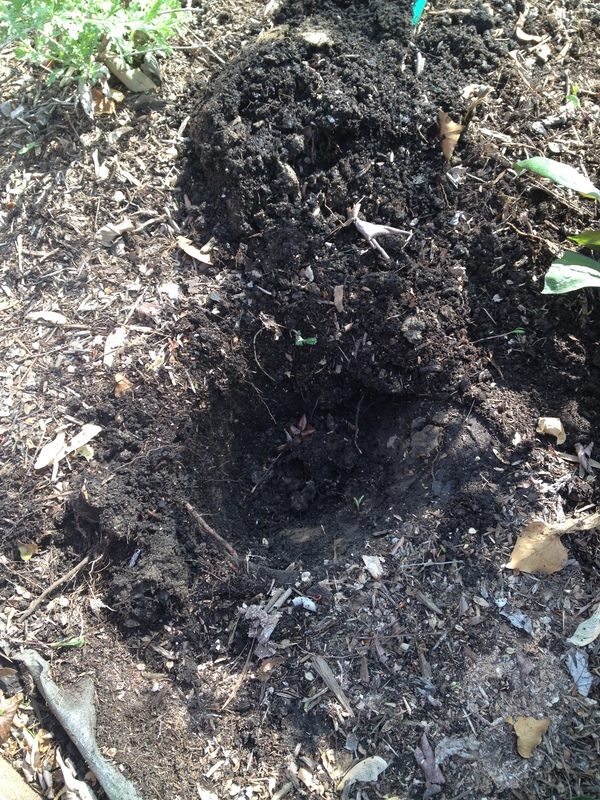 This soil is dense, and the roots of many annuals, perennials, and vegetables struggle to make their way through. Many spring bulbs tend to rot over the winter in clay soils discouraging gardeners who must deal with this soil type. However, all is not lost–as long as you improve the soil structure. By that the experts will tell you to add 6-8 inches of organic matter throughout the bed, not just where you are placing your new specimen (yes, I have taken that short cut). 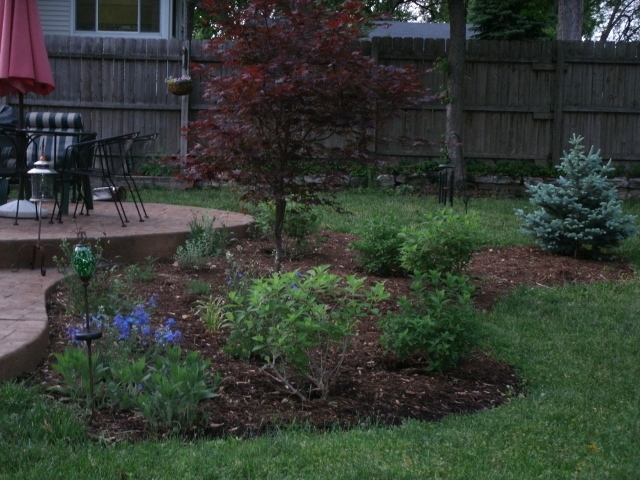 Of course, I continue to add the good stuff to the soil when I layer on mulch on top of all this. And my plants have thanked me for it. I’ve been pleased with the new emergence each spring and have become committed to amending my soil EVERY year. 2. Clay soil is slow draining. In addition to improving the soil structure of the garden beds, I want to improve the lawn where after a heavy rain the water has a tendency to sort of just sit there. I’m not talking about the low areas of the lawn, I’m talking about the slope areas where you’d think the water would be flowing down. Not so much. I do have areas where the water ponds. 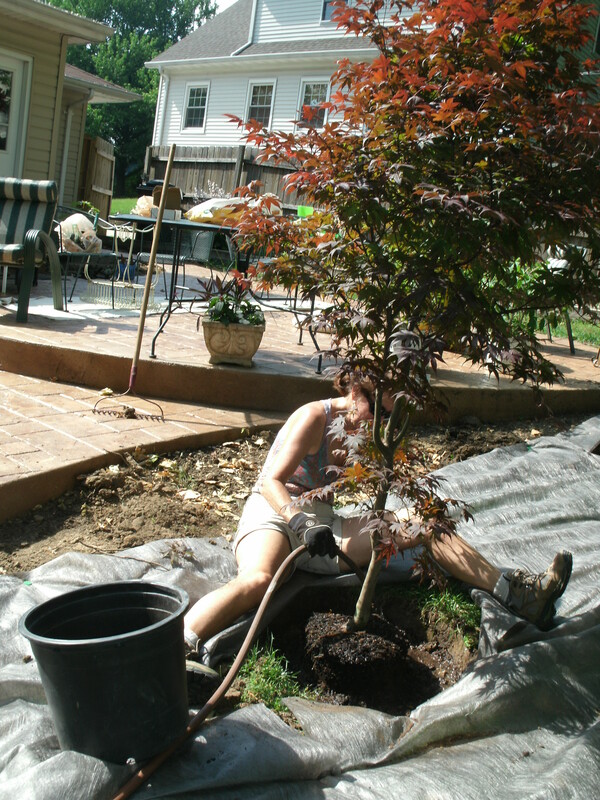 Those spots will get shrubs that tolerate ponding such as winterberry (ilex verticilatta), ligularia or river birch. 3. It can heave in the winter. Thankfully I have not experienced this with my plants, but I do have a gate that won’t open when the temperatures drop. In fact, I had to move my trash and recycle bins this winter because I could not get them through the gate. 4. There are lots of perennial “clay buster” choices available that thrive in this soil type. Black-eyes Susans, goldenrod, Russian sage, daylily (hemerocallis), purple coneflower, yarrow and canna are among the hardy perennials that can thrive in clay soil. As I stated more than once, I am about the sizzle. I wasn’t really excited about concepts such as soil structure and amendments. 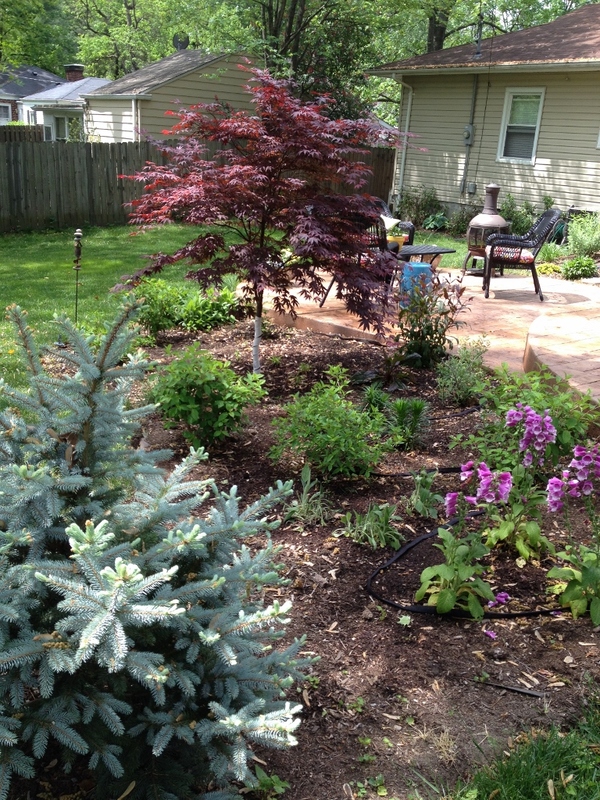 My goal was to plant beautiful flowering annual, perennials and shrubs. I am glad I slowed down and have taken the time to prepare the soil. This annual chore has become a right of passage into spring and it’s paying off. Categories: Musings | Tags: canna, clay soil, coneflower, goldenrod, ilex verticillata, ligularia, river birch, soil structure, St. Louis, winterberry, yarrow | Permalink.